10 Man Rosters: Can They Work In the West? For fans of the NA LCS and LEC, a normal roster will simply consist of 5 players; one in each role. In the LCK, however, most teams fill out 10 man rosters with backups in each position that are called upon when required. One of LEC’s newest teams, exceL Esports, have now built a 10 man roster of their own to compete in Europe’s newly franchised league. So just how likely is it to work? Firstly it’s worth looking at the pros of such a model. Competition for places can ensure that starting players don’t become complacent and this has always been a key idea used in traditional sports. Football teams can spend millions on players that may not be good enough to start in their first team but can help to uphold the standards of starting players by applying pressure from the bench. This has also been used successfully by League of Legends teams already. SK Telecom have consistently rotated between 2 junglers throughout multiple roster iterations, while even Faker was rotated with Easyhoon during the 2015 World Championship (so much that Easyhoon earned his own world champion skin). However, systems used by SKT were not only to ensure performance levels were maintained, but were also used for tactical reasons in order to allow the team to play different styles/compositions. Such substitutions were even seen by Cloud9 during the Summer split, with swaps between Svenskeren/Blaber, Jensen/GoldenGlue and Sneaky/Keith. 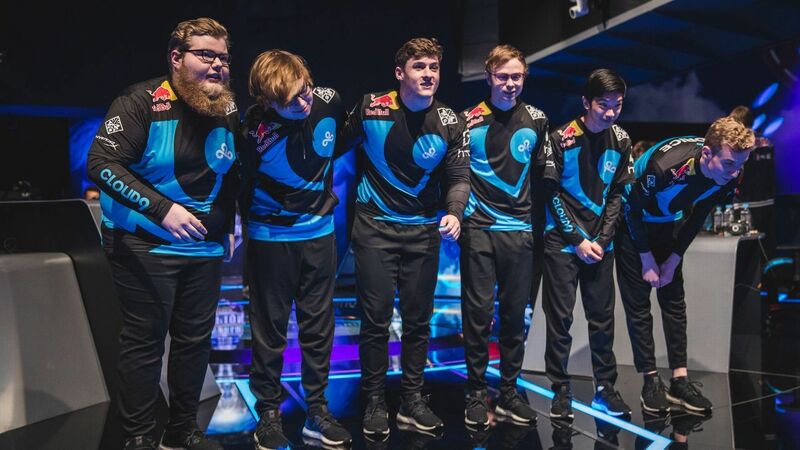 Successful use of substitutions allowed Cloud9 to go from last place in week 5 of Summer to a 2nd place regular season finish and a Worlds run where they reached the semi-final. As the World Championship only allows 1 substitute, Cloud9 chose to take both Svenskeren and Blaber to Korea. When asked on the differences in style between the junglers, top-laner Licorice said that “since I’ve been playing with Sven so much longer, I feel a lot more comfortable playing with him”. However he also noted strengths with Blaber in the team as “he’s just a really aggressive player which is something we’ve been missing as a team, and we kind of needed that. He’ll always want to fight them, and he’ll always just go in. It makes decision making a lot easier for us”. When we reached out to exceL’s head coach Josh ‘Furndog’ Furneaux for his thoughts on the roster, he advised that “the overall premise is that we have the current starting line-up fuelled by 5 hungry rookies who are pushing them on the daily to keep stepping up”. Alluding to the fact that exceL are one of the league’s new franchises, Furndog added that they “need to improve fast and to do that people can’t be comfortable with their current level, so having people who are pushing you forward is paramount to our vision of the 10 man roster”. As well as using substitute players to enhance performance levels of the whole team, this can also be a good way to foster rookie talent and give them a taste of starter experience. This is another use that traditional sports have taken advantage of for decades, while League of Legends teams have also been able to allow less experienced players to gain insight from veteran team members in a similar way (especially in close proximity gaming house setups). On the topic of exceL’s rookies learning from experienced players, Furndog explained that “there’s a wealth of game knowledge amongst the roster that the rookies can draw from and they are all working in close proximity together to promote a collaborative but competitive squad mentality”. With only Kasing, Caedrel, Exileh and Expect having LCS starter experience, it will be vital for exceL that these players are able to ensure that Furndog’s vision becomes a reality in order for them to put up a fight against Europe’s already established teams. A final area in which 10 man rosters can be utilised is through internal scrims. Traditionally, teams will scrim (practice) against each other with their starting rosters facing off as though it were a regular season match-up. This gains practice playing as a unit while allowing teams to test compositions. However, the main downfall of traditional scrims is the unpredictability of what the opponent will pick. There may be some sessions where coaches want their team to practice against a certain team comp/champion, however scrimming against another team cannot guarantee this. Scrimming against opponents can also lead to mind games; teams may not wish to show all their cards in matches that are only for practice. In-house scrims should allow exceL to be properly prepared for more specific match-ups and allow them more streamlined practice where they can set the guidelines. On this subject, Furndog explained that “match-up testing and internal scrims can take place regularly to develop the squads understanding of the game and our ability to swap players in and out is there to push people”. If the meta leads to a certain champion becoming a must for pick/ban, in house scrims will should allow exceL to try different lane match-ups against that champion and be well prepared should an opponent pick it. Now lets have a look at some issues that will likely need to be faced when fielding a 10 man roster, as well as some regional differences that can effect the likelihood of it’s success. First of all, having substitute players for the aim of putting pressure on starters may not have an impact if the skill difference between the starter and sub is too large. Having a substitute of a significantly lower level than that of the more established player (particularly when the starting player is aware of the difference) could lead to the established player having the belief that benching them will always lead to a worse off team performance. If the player is able to perform at a higher standard than their competition when not trying 100%, then complacency may not be avoided. Furthermore, if there is any instance where a player’s work ethic deteriorates and a change isn’t made, then that may give the player more of an incentive to work less hard as they believe that they won’t be replaced. If this is picked up on by other teammates then squad harmony could be effected. Should exceL’s coaching staff strictly enforce these beliefs, however, then such complacency could be avoided. If a player with a larger skill gap to their substitute is benched, then this will especially be a warning sign to other starting players who may be of a closer skill level to their counterparts as they will know that their spot will be under threat should they slip up. The chances of players buying into the belief that they may be benched if their work ethic drops can also link to the amount of respect that the players have for their coaching staff. Player’s may only take on board the threat of being substituted if they have a decent level of respect for their coaches, otherwise they may not take this as seriously as would be expected. Adding to this, Korean imports in particular have been known to be difficult to train by Western coaches, with many examples of LCK players joining LCS teams only to not live up to their expectations. A recent example would be mid-laner Mickey, who joined Team Liquid from ROX Tigers in Summer 2017. After unsuccessful stints with both Team Liquid and Golden Guardians, Mickey has now returned to Korea with Challengers Korea side APK Prince. On the other side of the coin, however, exceL’s only Korean import Expect has already had previous success in Europe with G2 Esports (including working alongside fellow top-laner Send0o) and so it is highly unlikely he will have the same cultural issues that face some LCK imports. The biggest issue that exceL are likely to face is the potential lack of synergy that could come with an ever changing roster. Head Coach Furndog has previously expressed exceL’s decision not to have a starting squad and academy squad, but rather a 10-man roster whereby the 5 best performing players each week will play in the LEC while the others compete in the UK regional league. In a team based game such as League of Legends, good synergy and clear communication are key elements which solid performances can be built upon. However, these are aspects that take time and practice to earn, especially on a brand new roster. Constant changes to the starting lineup may easily have a detrimental effect in this department and could lead to potential teamwork issues, especially in the early stages of the season. 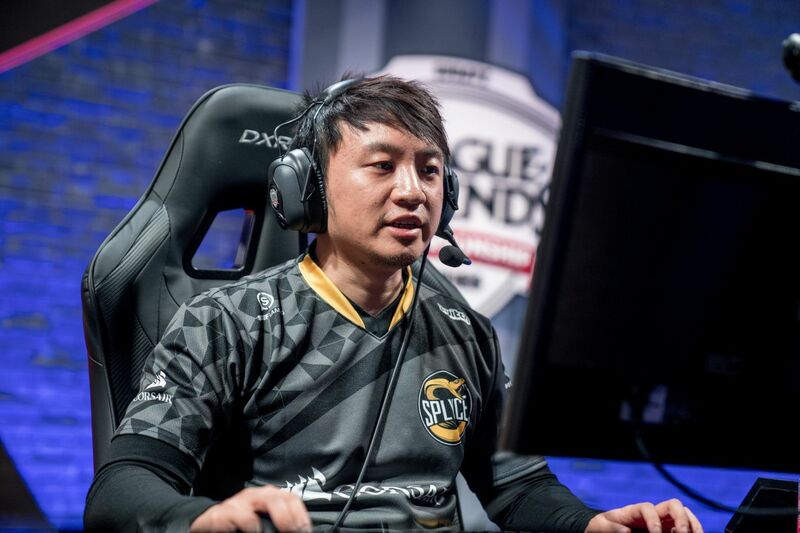 In particular, synergy between an ADC and support is crucial for a successful bot-lane and swapping these players around week-by-week would presumably put exceL’s bot-lane at a disadvantage compared with other teams. All in all, it will be extremely interesting to see how this roster is utilised during the season and whether this pays off with wins. The likelihood of the 10 man roster proving a success will largely be down the the manner in which the coaching staff pulls this off. It will be crucial for exceL that their players buy into this philosophy and that team synergy isn’t too affected by a constantly changing lineup as these will likely be the biggest issues facing the team in making this roster work. ExceL will begin their season with week 1 matches against Splyce and Rogue, a draw that gives them a slightly easier start to life than could have been the case and we can’t wait to see it all get underway in just 1 week. Let us you know your thoughts on the chances of success for 10 man rosters by tweeting @NineTeeSix.